Holds three 30 round 5.56 magazines in flat configuration. Open top design with bungee retention. 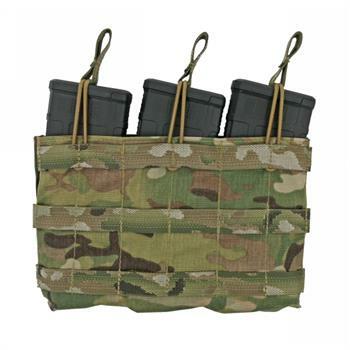 Attaches to modular webbing with 3 long MALICE CLIPS (included). 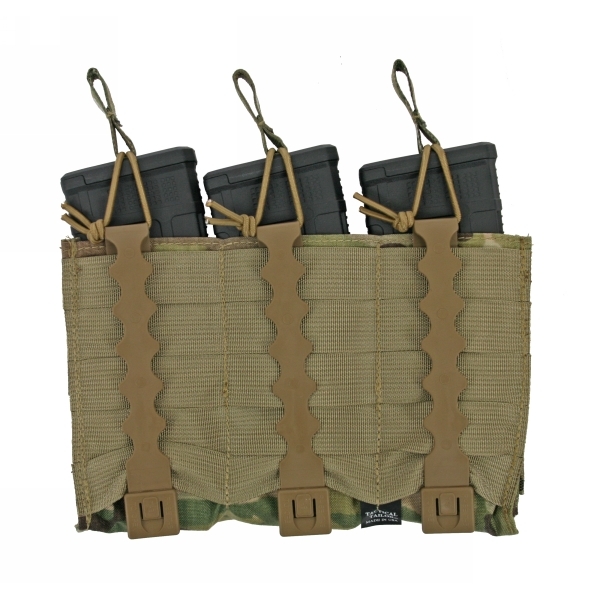 Available in Black, Coyote Brown, MultiCam, Ranger Green, and Wolf Grey.